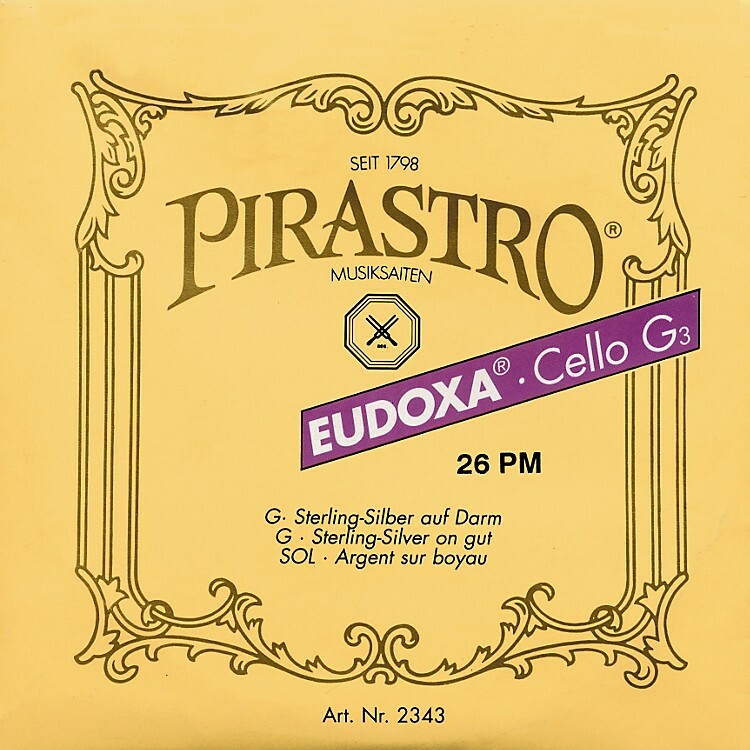 Eudoxa Series cello strings are a wound gut core string with long sustain that fits perfectly for arco and pizzicato. It is an excellent string for both orchestral and jazz bassists. Its warm sound and its capacity for expressive modulation are its chief defining characteristics. This item is a C string, color coded for easy identification, and available in 1/2 through full size.